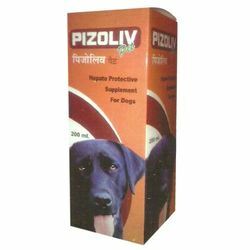 Prominent & Leading Manufacturer from Sonipat, we offer veterinary dog syrups and dogs veterinary liver syrup. The Veterinary Syrup formulated by us is used to treat various diseases of animals. Our syrups are made of quality-tested ingredients and latest technology. The syrups are tested on the basis of various parameters to assure effective products to our customers. The Dogs Veterinary Liver Syrup offered by us is formulated using caramel color. 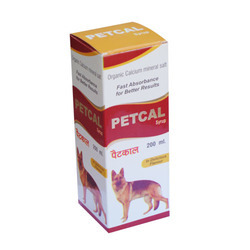 This range of medicines is used to cure various disease of animals. To make this syrup, highly effective, we used quality-approved ingredients in the formulation process. Therefore, our syrups are noted for longer shelf life and accurate formulation. Liver Fraction 2 (derived from 3.75 gm. Of fresh liver) in flavoured syrupy base 150 mg. Looking for Veterinary Syrup ?